These clear Air-Tite capsules are a wonderful way to protect and display your medallion! They are crystal clear on both sides and contain no PVC to damage your special tokens. Each capsule consists of two pieces that snap together providing superior long-term protection. This model contains a 34mm black inert foam ring that fits all of our standard bronze, .999 fine silver, plated, bi-plated, and tri-plated medallions. Our Wooden Medallions DO NOT fit in this model capsule. 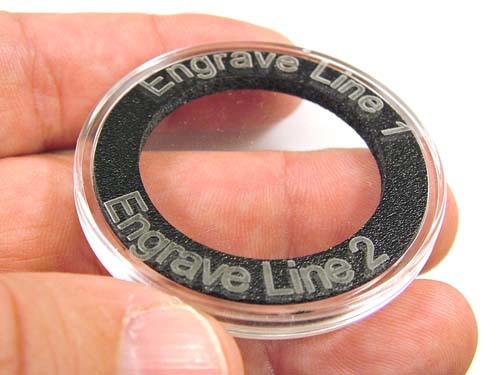 You can even laser engrave a special message on these coin capsules! Collectors - engrave catalog/index information right on the capsule! Simply insert your message in the line options above! 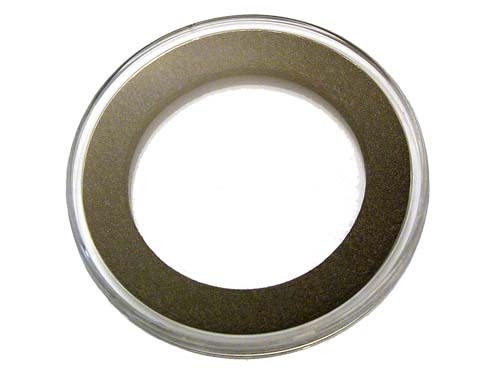 Fits our 34mm standard bronze, .999 fine silver, plated, bi-plated, and tri-plated medallions.